Provided the item you purchased is in stock, orders received by 12pm Eastern Standard Time, Monday through Friday, are processed within 48 hours. Orders placed after 12pm Eastern Standard Time, Monday through Friday or on Saturdays, Sundays and holidays, will be processed the following business day. Once the order is processed, the shipping method you chose will determine when you receive your order. Shipping times are approximate and should be calculated from the time you receive shipment notification and not necessarily from the time you place your order. Please note that all shipping times are estimates. The shipping estimate does not include processing time. 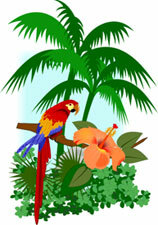 Most orders are processed within 48 hours of the order being placed. Saturday is not considered a business day for UPS and FedEx. The day your order ships is not considered an "in transit" day. Orders are picked up by the carrier at the end of the day and transit begins then. Please call us if you have any questions about the transit time of your package. Please allow extra delivery time for all orders shipping to Canada and APO addresses. Expedited orders are in transit for the amount of time promised by the carrier barring any unforeseen circumstances. Please note that expedited shipping services such as; UPS Next Day Air and 2nd Day Air will deliver on the next business day. Saturday is not considered a business day. USPS Priority Mail will deliver on Saturdays along with your regular mail service. Free Shipping promotions: Nutrition Jungle reserves the right to select the shipping method for items qualifying for “Free Shipping”. Your item may ship UPS Ground or USPS Priority Mail regardless of the method displayed during your checkout. 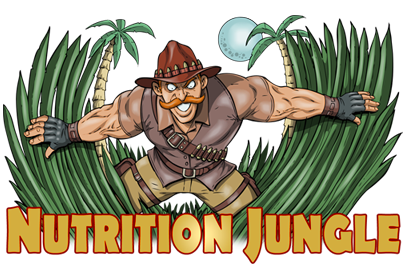 Nutrition Jungle is not responsible for items which are stolen from your location after delivery has been made and confirmed. If your item is lost by the carrier we will file a claim on your behalf, but it is up to the carrier to reimburse you for the merchandise. Did your order come in a “gently used” box? Your order may arrive in a box which once was home to vitamins or wireless accessories - fear not, that's Nutrition Jungle's attempt at being environmentally responsible by recycling all packaging materials. ● Customers are still responsible for shipping charges on refused items. ● Arrivals are based on carrier standards without any shipping discrepancies or problems. ● Saturdays, Sundays and/or holidays are not considered business days. address, simply specify USPS as your shipping method. the state drop down menu (such as AA, AE, AP). ● Delivery to APO's and FPO's can take up to ten days. ● All orders to APO's and FPO's are sent via USPS.